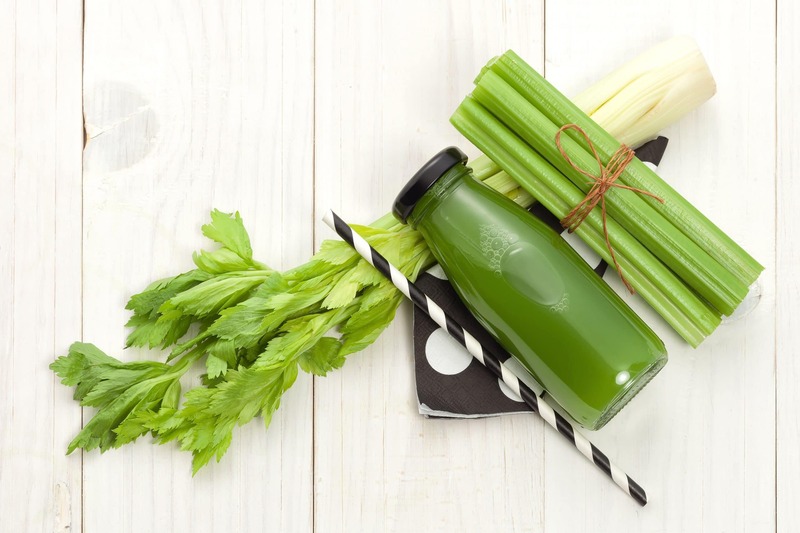 We are always told that celery is good for us, so it comes as no surprise that celery juice is the latest craze across social media. There are various claims around this special drink and its ability to soothe the gut. But, are they true and should celery juice be something which you include in your diet? This article looks at how true these claims up and answer whether celery juice is good for IBS or not? When it comes to digestive health, celery juice is claimed to act as a natural laxative by relaxing the nerves which have been ‘damaged by an unhealthy lifestyle.’ It is also said to help inflammation in the gut and utilise other nutrients in foods that you may eat. There are reportedly enzymes in celery which will raise the hydrochloric acid in your stomach. This will help digest foods and prevent them from fermenting in your gut which can cause bloating. Fans of the alkaline diet are also fans of celery juice stating that it can help alkalize your gut. Celery is high in flavones which are antioxidants. However, they have only been shown to have an anti-inflammatory affect in animals and in test tube studies (1 ). Unfortunately, the human body does not work in the same way and so we can not draw any conclusions from this yet. Processing foods in any way e.g. heating, juicing or microwaving can change or reduce nutrients. Juicing celery is no different and has been shown to contain just 56% of the original flavones (1 ). Another claim about celery juice is that it contains ‘cluster salts’ which are apparently undiscovered salt subgroups. These salts reportedly kill off pathogens such as bacteria and viruses. Whilst celery juice dose contains salts, there is no proof that this kills off any pathogens. The composition of these salts would also change when it hits the stomach which is full of acid. So pathogens which cause SIBO or candida overgrowth (passed the stomach) are highly unlikely to be affected. Helps To Absorb Other Nutrients? Whilst celery juice itself is high in many important micronutrients, there is no science to back up this claim. The blood contains a ‘buffer’ which means no matter what you eat or drink – the pH level is constant (around pH of 7.4) (5 ). Therefore, the whole concept of an alkaline diet is flawed. This is a far-fetched claim on several accounts. Firstly, there is no digest enzymes found in foods which contribute to our own digestive system. Next, celery actually ferments in the large bowel (right at the end of your gut), not in the stomach. Finally, the pH of your stomach is around 1.5-3.5 which enough to kill off bacteria on its own and it does not need food to help it do this. Fighting Off Gastritis and Cancer? There is 1 study look at the use of apigenin treatments in gerbils. Apigenin is the name of type of flavone found in celery. The results showed a reduction in rate of both gastritis and gastric cancer (3 ). Unfortunately, this study is irrelevant to humans for couple of reasons. Firstly, the human body is different to a gerbil and so the same outcome can not be assumed. Secondly, equivalent amount of celery juice you would need to drink to get anywhere near the doses used in the study would be physically impossible. Other than the fact you are drinking more fluid, there is nothing is celery juice which would aid you go to the toilet. There is no information to support the idea that celery juice helps bloating. In fact, celery is actually high in FODMAPs so may well worsen bloating. Should You Drink Celery Juice For IBS? Whilst celery juice may not have any ‘special gut healing powers’ whether you should drink it or not really depends on your own circumstance. If you have IBS then celery juice may cause you symptoms if you react to FODMAP called mannitol. On the low FODMAP diet, just 10g of whole celery is considered a ‘safe’ portion. The amount used to make just 1 serving of celery juice would be considered high FODMAP. If you are just trying to improve your gut health generally, then again celery juice is not going to help as you are taking out the fibre. Just eat the celery whole! BUT, if you would like to include celery juice in your diet as a general addition of vitamins then by all means go ahead (3 ). Celery juice is the latest fad to hit us and unfortunately the many claims are based on little to no science. Those with IBS should stay away from this drink due to its FODMAP content. However, if you do not have IBS then go ahead and enjoy a general vitamin boost from celery juice. The post Is Celery Juice Good For IBS? appeared first on The Food Treatment Clinic .